What’s the Real Meaning of the Triforce? 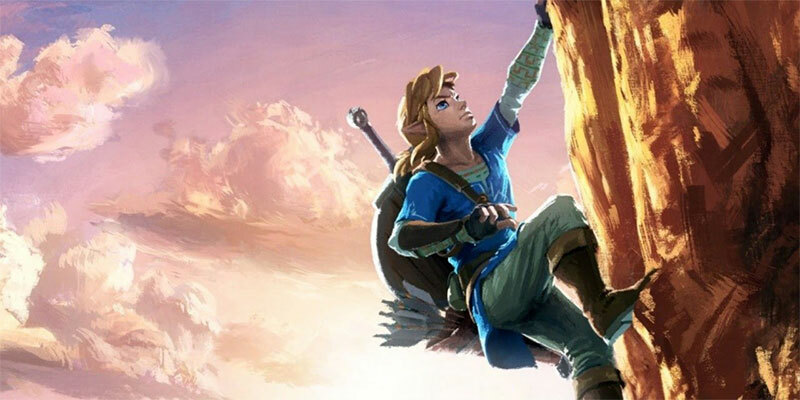 The Nintendo Switch will be released today, and along with it will come the latest Zelda Adventure, the “Breath of the Wild”. The game is being described very much as a mix of old and new. It’s set in Hyrule, as most Zelda games have been, and features the protagonist Link squaring off against long-time nemesis Ganon. The game is also said to be “open world”, featuring exploration and a massive digital world on par with Skyrim and other sandbox games. What remains unknown is what role the Triforce plays in the new Breadth of the Wild game. So far, people who’ve played demos and the first few hours of the game have noted a lack of presence of the infamous golden triangles. In case you’re unfamiliar, the Triforce is an omnipotent ancient relict that was created by the three goddesses who created Hyrule. The entire plot line of the Zelda series is driven by the Triforce. While the Triforce doesn’t appear directly in every video game or story, it is the driving mechanism of the entire Zelda universe. Further, most of the individual chapters of Zelda deal directly with Gannon trying to gain control of the Triforce so he can become a God. In fact, the three main characters of the Legend of Zelda- Link, Gannon, and Zelda, each correspond to one of the parts of the Triforce. I’ll dig in a bit later, but often individual parts of the Triforce will actually come to reside in these characters. The triangle at the top of the Triforce represents power and is associated with Gannon, the usual antagonist. It was created by Din, who also created the land. The Triforce of Wisdom, which was created by Nayru the Goddess of law who created the laws of the universe, and is associated with Zelda. The final Triforce, created by the Godess Farore is the Triforce of courage and source of all life. Let’s dig a bit more into the Triforce and outline a theory about what it really means. The entire Zelda series is arguably a tale of “balance”. Gannon represents power and is consumed by it. Throughout the series, Link and Zelda are constantly trying to keep him in check. In most of the games Gannon is never killed, but instead sealed away. Even when he is killed, he can be reborn in the future. In fact, Zelda, Link, and Gannon are all born over and over again, being embodiments of the Triforce. The Triforce can grant wishes, and pretty much any wish desired. This makes it immensely powerful, and those would wield to Triforce are basically on par with Gods. But there is a trick. For a wish to be granted, the being who touches the Triforce must be of equal parts power, courage, and wisdom. Whenever Gannon touches the Triforce, it breaks into three parts, with each part corresponding to the person that most closely embodies that particular aspect, meaning wisdom for Zelda and Link for courage, and of course, power for Gannon. In most cases, this results in Zelda and Link teaming up to defeat Gannon. In doing so, they restore balance to Hyrule by bringing the Triforce together, assuming they defeat Gannon, of course. Let’s dig into the “true” or real world nature of the Triforce, or at least the symbol. Turns out, the three triangle symbol is actually quite common in Japan. The basic symbol has a historical presence and was used by the Hojo clan, a once powerful family in 12th and 13th century Japan. While the clan itself has long since faded out as a major power, its three triangle symbol has lived on. In fact the three triangles, or three scales as the Hoto referred to them, are now the symbol of the Mitsuuroko energy company, a relatively large Japanese energy company. Take a stroll through Japan and it is highly likely that you will come across Triforce look alike symbols. Did the symbol influence the creation of the Zelda series? Or do they resemble each other merely through coincidence? No one but the creators really know.